Free access to the entire iTunes catalogue, anyone? If the speculation to be found in this morning’s Financial Times proves accurate, the entire music industry could be turned on its head by an Apple deal that promises a lifetime of free music. 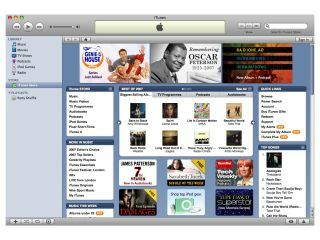 If we’re to believe the story – and, frankly, it’s plausible – the two sides are haggling over how much Apple should pay to allow its customers to dig into the iTunes smorgasbord to their hearts’ content. The FT’s unnamed source says, rather poetically, “It’s who blinks first, and whether or not anyone does blink”. Given a discussed price of between £10 and £40, we’d expect that to result in UK customers paying an extra £80 at least on top of the cost of a new iPod. That will most likely get them free access for the lifetime of the iPod concerned. Another possibility is the far less radical subscription model, in which users pay per month for unfettered access to the music. As current iPods, bar the touch, aren’t yet Wi-Fi enabled this would be limited to iPhones. Naturally, Apple has had nothing to say about the report, but we’ll keep pressing them, so watch this space as the story develops.